I consider homemade muffins to be the ideal snack food. Sweet enough to be satisfying but not too cake-like, they can feel like a little treat. Yes, sometimes muffins are a bit like dessert, but when you make your muffins from scratch you’re in control of how healthy you want to make them. Or not. You can always include whole grain flour, ground flax or wheat germ. You can replace all or some of the butter or healthier oil like grape seed, coconut or canola. You can toss in some nuts, seeds, or dried fruit. You can add pureed or grated fruit or vegetables. 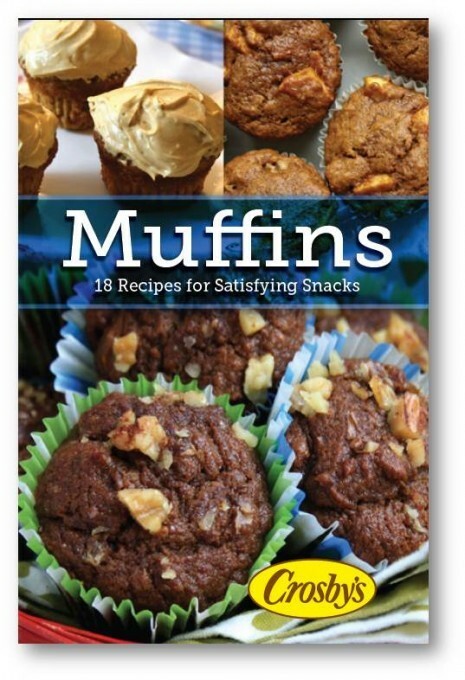 In this collection you’ll find all sorts of recipes to suit your muffin cravings. 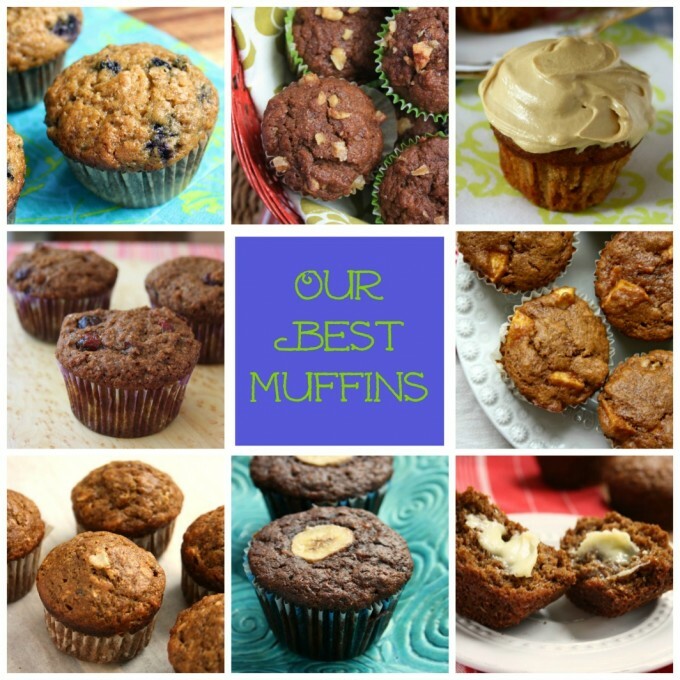 From classic bran muffins to chocolate banana muffins, simple ginger muffins and filled-with-everything kitchen sink muffins. A bit of the nutritious with the delicious. Thank you so much for allowing us to download the new muffin book. Cannot wait to try and bake some healthy treats. I love your recipes! 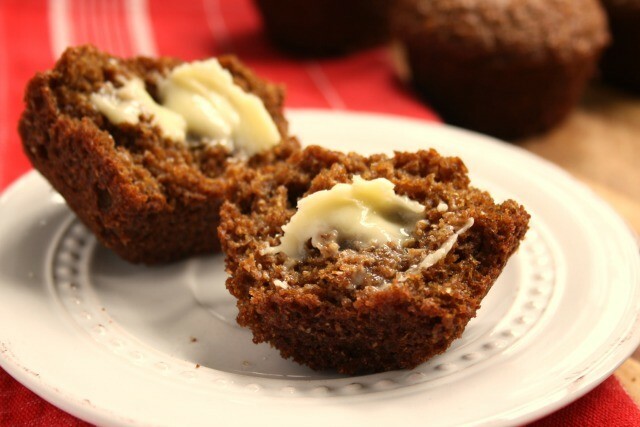 I have made so many of them, but my favourite is the banana oatmeal muffins with molasses. Thank you for providing such great, healthy recipes. Would like to see some gluten free recipes. I am so looking forward to your new cookbook. I love making new muffin recipes. I was raised in N.B. I am very aware the use. of Molasses .My pantry is all stocked.. Looking forward to the muffin recipes! i’m from New Brunswick and i would dip all my cooked meats in molasses.moose ,deer and porc chops and bologna .it was the best on toast with peanut butter. All the recipes I receive are excellent. I really enjoy the muffin recipes and gingerbread. They are delicious. Thanks for sharing. Crosby’s recipes are great! I look forward to your new cookbook. I made a recipe for Raisin bran muffins…they’re great. Would love more recipes. Thanks for sharing. Am going to try a lot of these recipes! They look delicious! 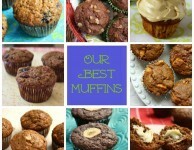 I would love a free copy of your muffin recipe book. Hi Charlotte, We don’t have printed copies of our muffin book (it was created as an eBook only) but we will send you a copy of our printed book, Molasses and More. thanks flo Love the looks of your Muffin recipes. I would love a copy. What kind of money could help with the costs. I would love to have one for myself but also one for my kids and their families. I have 4 kids and myself. Looking forward as my kids are great cooks and I also loved to before my hubby passed in January but I do know I will get back to it again. I have some of your recipes and WOW they are to die for. Just have to watch the sugars if you are diabetic. A BIG THANK-YOU for all your wonderful recipes and the best molasses ever !!!!!!!! I have never had a recipe from Crosby’s fail ; can’t say that for many sites .